Avendus Capital advises UST Global on an investment from Temasek. UST Global, a leading digital transformation solutions company, announced that it had entered into definitive agreements with Temasek, a global investment company headquartered in Singapore, for Temasek to acquire a minority stake in the company. The investment marks a milestone for UST Global, whose technologies and solutions have helped drive rapid digital progression for its clients, as it welcomes Temasek as its first institutional investor. Avendus Capital was a financial advisor on this transaction. Founded in 1999, UST Global offers digital technology solutions to Fortune 500 companies across various geographies. The company caters to technology and innovation requirements of multinational corporations providing end-to-end solutions including digital customer engagement, data analytics, cloud consulting, product engineering, automation and cybersecurity solutions. 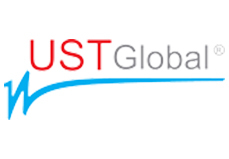 By leveraging its industry knowledge and deep longstanding client relationships, UST Global has built a range of platform solutions across healthcare, cybersecurity, talent management, and automated operations. UST combines internally developed IP and a well curated list of technology partners to offer best in class solutions deployed through its platforms. With regional headquarters in California, Singapore and London, and over 35 offices across the world, UST uses its global presence to partner closely with its multinational clients, which include over 50 Fortune 500 clients.